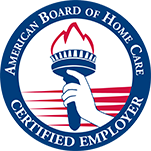 Care To Stay Home has over 50 years of combined professional experience in the healthcare field. We focus on creating an engaging, stable, and secure environment for each and every one of our employees. Our dedicated care managers are here to assist our employees to meet their needs. Our staff is trained to ensure that our services are executed in the best possible way. Apply today to become part of our dedicated and professional team! As an employee of Care To Stay Home, job duties include: assistance with ADL’s, personal care, transportation, light housekeeping, meal preparation, etc. If none of the above openings match your current location or availability, please feel free to still apply with us. Openings vary on an ongoing basis. – Discounts on local restaurants, travel, theme parks, etc.